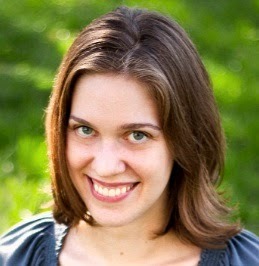 It's my pleasure to welcome Theresa Romain back to The Romance Dish today. 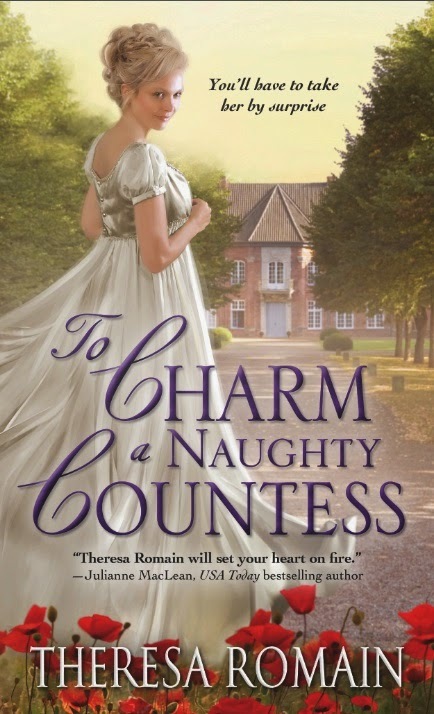 Theresa's newest historical romance, TO CHARM A NAUGHTY COUNTESS was released May 6th. Janga's 5-star review of the book was posted here yesterday. You can read it by clicking here. You can find more information about Theresa and her books by visiting her website and connect with her online at Facebook and Twitter. PJ and Andrea, thanks for hosting me today at The Romance Dish! I’m so glad to join you to chat about the release of my newest Regency-set historical romance, To Charm a Naughty Countess. I’ve written heroes with titles before. I’ve also written a few mere Misters. But the hero of To Charm a Naughty Countess—Michael, Duke of Wyverne—is the first duke to get a HEA in one of my books. Dukes and duchesses stand on the highest rung of the aristocracy, just under the monarchy itself. They’re synonymous with wealth and power and influence. Or are they? I wanted to play around with the idea of what a duke, and a dukedom, could represent in this book. Eccentric, brilliant Michael has no influence at all in society, because he’s stayed away from London for 11 years since rumors of his madness began to spread. Faced with financial ruin, he has to venture to London to catch a wealthy bride. This is easier said than done, since those old questions about his sanity pop up again as soon as he re-enters society (and turns a chair upside-down…and takes a lamp apart…and…well, you get the idea. He’s a tinkerer). He needs help if he’s ever going to succeed—and who better to help him than London’s most popular widow, Caroline, Lady Stratton? All right, perhaps those narrowed eyes were a glare after all. Before they can find their way to a HEA, Caroline and Michael have to find balance—not just in their relationship, but within themselves. When a duke has to be a duke all the time, how is he ever to find a duchess? Don’t worry; I promise you he does. J And by the end of their story, they bring out the best in each other. Today I’ll give a copy of To Charm a Naughty Countess to one random commenter with a US or Canada address. Just let me know: what do you think you’d like most about being a duchess (or duke, if male readers happen by)? Or what do you think would be the toughest part? I think I'd love being able to break the rules as a duchess and no one could look at you askance or they'd emulate you. The worst part would be having everyone kiss up to your title and not because they want to be your friend. Ada, that's a good point. How do you tell if people like you for yourself or if they're just trying to gain a favor from you? This is something the heroine of To Charm a Naughty Countess--a rich widow--deals with too. The worst part would be having everyone kiss up to your title and not because they want to be your friend. I agree, Ada. I have some experience with that and it's not a fun position to be in. I can't think of anything that I'd like about being a duchess. I would think the whole "job" would be tough! The lack of privacy ... your time not being your own ... not being able to just kick back when you want to ... not being able to leave your work at "the office" ... and I'm sure there are lots more to list. I am not into the glamour ... the pagentry ... the hobnobbing with "celebrities" ... and especially not into "the clothes". I can, however, enjoy it tremendously when reading about someone else! Laney4, it sounds like the Regency version of celebrity culture, doesn't it? I'm not cut out for that kind of life myself. I think the lack of privacy would be the most difficult for me, Laney. I've never been one to covet the celebrity lifestyle. A Duke and Duchess usually have a lot of power and should be able to right a lot of wrongs - that also comes with a lot of responsibility - I love it when a story shows the Duke and Duchess rising to the occasion - especially if they put a social snob in their place. I love it when a story shows the Duke and Duchess rising to the occasion - especially if they put a social snob in their place. Well said! I do like it when they use their power for good. Besides being married to a duke and getting invited to all the best social events of the season? I would also think being at the forefront of fashion trends (because no one would dare snub a duchess for her fashion choices!) might be another one of the perks of being a duchess. On the other hand, going to all the balls and teas might get tiresome after awhile, and a duchess might just want to relax at home without any social obligations. Very true. And Caroline makes the point to Michael that she can do as much of that as she wants to without being a duchess. Poor guy; he really has to work to win her over. I am kind of a rule breaker so it would be hard for me to be a dutchess and not break the rules. I would love to read this book. Ah, but as a duchess you could get away with breaking those rules! I think the hardest part of being a Duchess (or Duke) would be to not abuse the power. The title is inherited and the people inheriting are born and bred to feel life and everything else is their due...it's easy to not see the realities of the lives of others. The best part would be the riches involved and what could be done with those riches...not only self-interest but benevolence as well. I'm so looking forward to reading this book, especially since I've never read Theresa's books before. Karen, if you haven't read Theresa's books before then you are definitely in for a treat! I'm sure that happened a lot more in reality than it does in fiction. My great-grandmother's second husband held an English title and according to the stories told by my dad and his siblings, the man held quite a well-developed sense of entitlement - even though he had relinquished his title when he came to the U.S. I think not having to worry about money would be the plus but there seems to be a lot of complicated rules that go along with the title. I love reading about this time period! Ha, true! Though if we were born into that time period, I don't think we'd mind the rules as much as modern people would. To women today, the Regency represents so many lost freedoms--but women in the Regency hadn't had them yet. In time-travel romances, my favorite parts are usually how women deal with the social expectations of the past. I'm one of those people who believe fame and fortune would be a burden. LOL Maybe not fortune, but definitely fame. I always feel a bit bad for all those famous people with their personal lives splashed across every tabloid out there. I'm a very private person and would HATE to have everyone in my business 24/7. So I suppose the downside for me would be the lack of privacy. The upside would be the wealth. If there is wealth... most of the aristocracy was going bankrupt towards the end of the 19th century. So even the security of wealth was kind of iffy. I absolutely love reading about Dukes and Duchesses but probably in reality would not like being one. That's a great comparison, thinking of high society like a small town. Since making a good marriage was so important, everyone sussed out a possible match's birth and fortune. I definitely prefer anonymity myself! I would like most the title and the money. Sure there may be problems along the way but nothing money or a title couldn't fix. Lol. Hi Theresa! It's always a pleasure to have you visit with us here at TRD! Thanks so much, PJ! It's great fun to visit. We romanticize that life style but in all reality there was poor hygiene, bad health and not too much in way of modern day conveniences. I rather think being a Duchess from then would be the best of a rough world! So I think I would rather be poor and modern (with running water and medicine) than rich and a duchess LOL. However I do love historical romances, and the rules they have to get around to be together. I'd most like the influence that comes with the position. You can make change happen with that kind of power. My least favorite thing would be the obligatory deferential treatment of people who were born into wealth and the aristocracy, with no effort to earn their way. Thanks for visiting, Theresa. Congrats on the 5-star review here. My least favorite thing would be the obligatory deferential treatment of people who were born into wealth and the aristocracy, with no effort to earn their way. I'd have a really hard time with that one! I'd enjoy not having to do housework but I think it would be hard to run a large household. Maureen, I'm sure it would be. That's certainly not a skill we worry about having anymore in the US! Hi, Theresa! I love your books. I think the hardest part about being a duchess would be to learn everything a duchess needs to know: how to conduct oneself in public, how to be gracious to everyone, etiquette, fashion, and of course how to run a household. Cathy, that's very true--it's like a job you wouldn't get any training for, or any days off. Julianne MacLean wrote a great romance about an American heiress who struggled to figure out all those things after becoming a duchess. It's called "To Marry the Duke." That's why they had lady's maids to help them dress! Hi Theresa! I love unusual characters and can't wait to read Caro and Michael's journey to their HEA. I think being invited to all the best events would be on the plus side of being a Duchess. And of course you could be very choosy which ones to accept. But I think you'd also have to very down to earth to be able to discern who is really a friend and who is just a title follower. Very true--the flip side of fame and fortune is not knowing who likes you for yourself. That's something the heroine, Caroline, struggles with after inheriting a fortune. Thanks, Janice! That's a good point, being a duchess today would be very different from 200 years ago because of the modern celebrity culture. Michael is bothered by the caricatures published in scandal sheets, but it's nothing compared to being chased by paparazzi. Congrats Theresa on the new release!!! Man... I'd have such trouble w/ all the etiquette and social rules! I love reading about duchesses but I wouldn't want to be one ;) Thanks for sharing! I think the best part would be the power and influence to get things done and the toughest part would be all the responsibilities that go along with that. It would be a real balancing act, I imagine. There would always be something more you could be doing, and that could be overwhelming. Fame has its downsides, that's for sure. I wonder if nobles and notables felt so conspicuous in the days before photography. One of the pluses of being a duchess would be learning the history behind the former duchesses. I would like to live in a castle of large estate and explore the grounds. I'd like the respect of my peers but not the adulation. I like my privacy so exposure to my private life would be kept to a minimum. Worst thing-Security would be a huge concern, protecting my children and myself and my husband from ransom seekers and stalkers. Best thing- promoting great causes for charities, political policies and the environment. Thank you for the little excerpt. It shows just how perceptive and wise Lady Caroline is. It is actually good advice for us all. We forget to nurture all of ourselves and are taken over by what we are, not who we are. I think we should all take the time to seriously look at this and decide how to change our lives to get the most out of them. As to your question, being a Duke or Duchess is a full time job. There are many responsibilities to be seen to and your place in society to represent well. It really could take over your life and not leave any time for you to nurture something that is just for you. Best wishes for the success of TO CHARM A NAUGHTY COUNTESS. I think the toughest part would be going to all the social gatherings and parties...I myself am a bit of a socially-awkward git, so going to ALL of those get togethers would be a little...daunting?